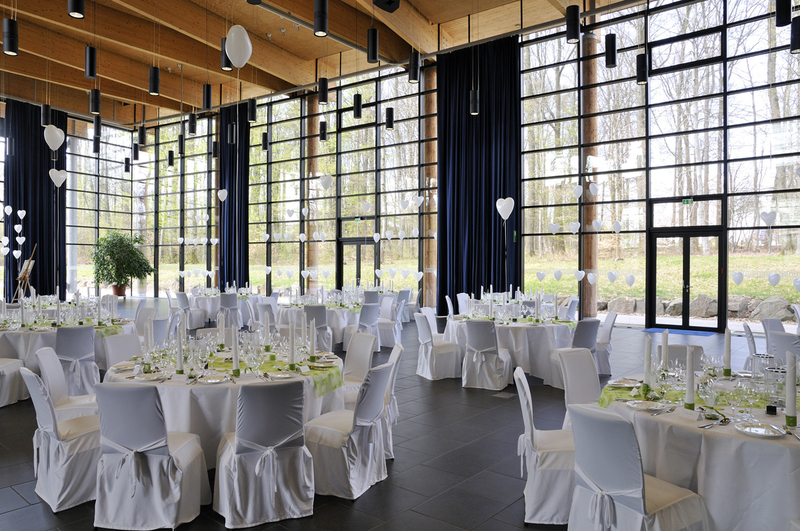 With 10 flexible event rooms catering for 2 to 200 guests, the Williams Conference Centre is an experience that never fails to impress. 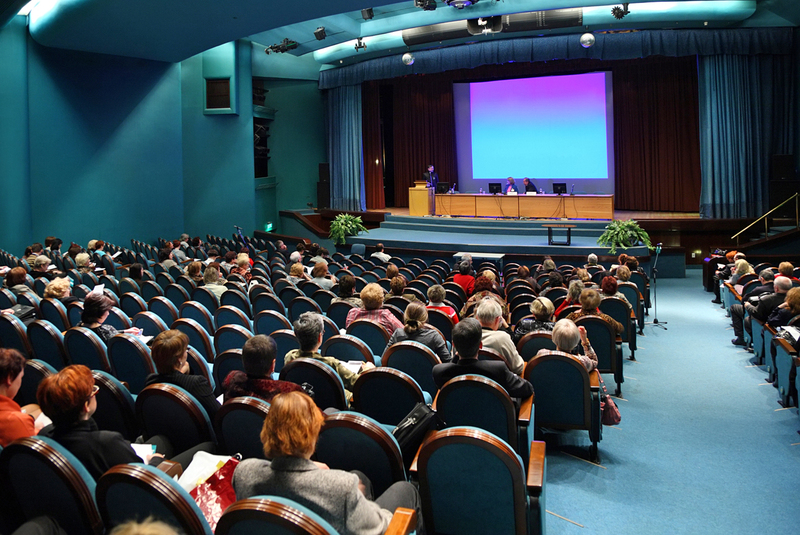 Whether you are launching a product, providing training, holding a conference, or running an activity day our facilities can be tailored to meet all of your needs. 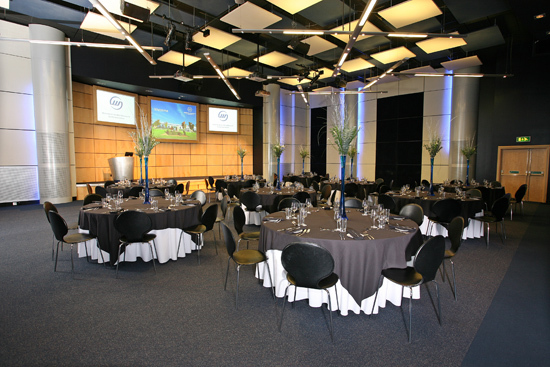 “We have created a first class conference facility, a unique venue and one we are truly proud of ” – Sir Frank Williams. 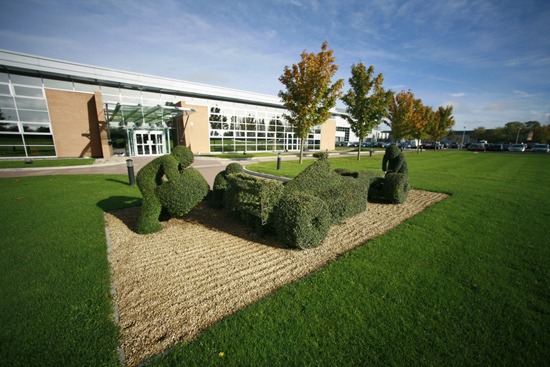 So much more than a Conference Centre, the Williams Conference Centre is an experience that never fails to impress, located at the home of the Williams F1 Team in Grove, Oxfordshire. 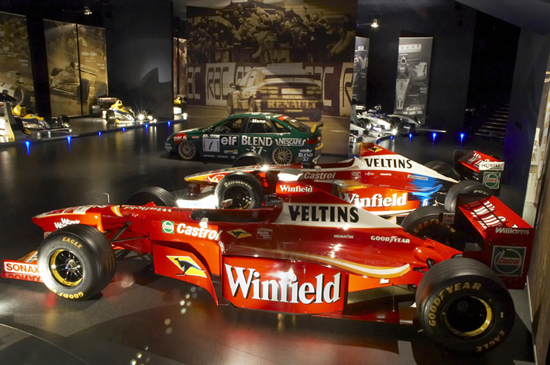 While attending an event, you and your guests will have the opportunity to visit Sir Frank Williams’ private Grand Prix Collection. 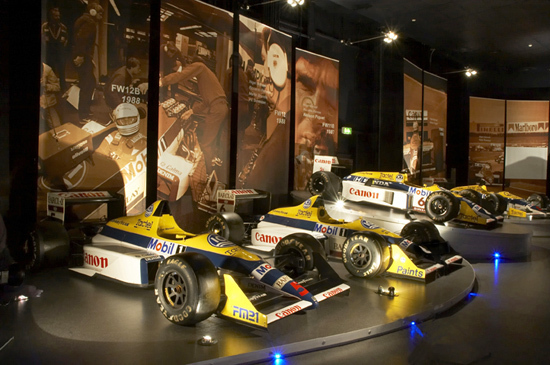 Housing over 38 of the team’s seminal race cars, the Williams Grand Prix Collection is the largest private collection of Formula One cars in the world, charting the team’s 36 years of motor racing history. 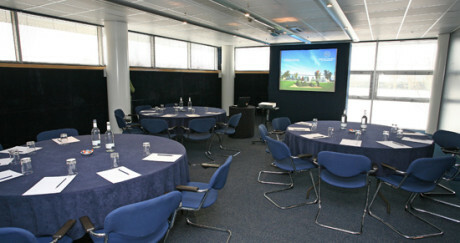 The Williams Conference Centre can make one promise to its clients, that of flexibility. 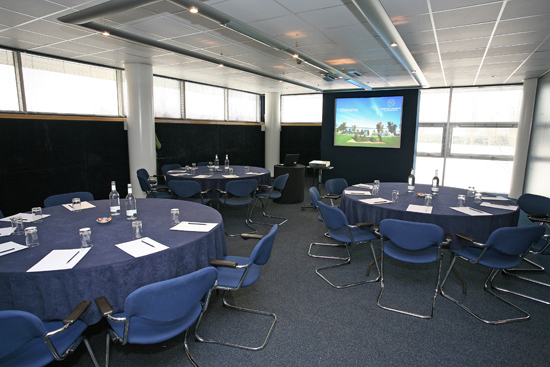 As a purpose built conference and training venue the rooms accommodate many different size and types of events. Whether you are launching a product, providing training, holding a conference, or running an activity day our facilities can be tailored to meet all of your needs. 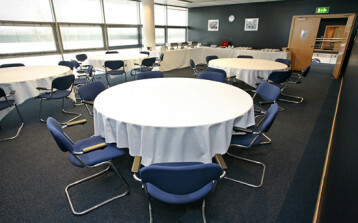 The Centre boasts ten meeting rooms, all of which can be configured in a range of different ways to suit your event. 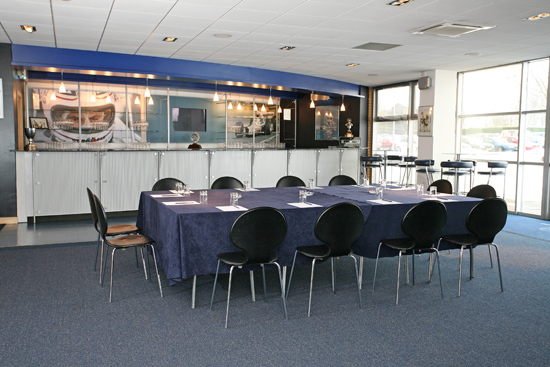 The types of events that have been held at the Williams F1 Conference Centre include conferences, meetings, training, seminars, product launches, exhibitions, breakfast meetings, business lunches, team building days, drinks receptions, fine dining dinners, award ceremonies, exclusive Xmas parties and race day hospitality. 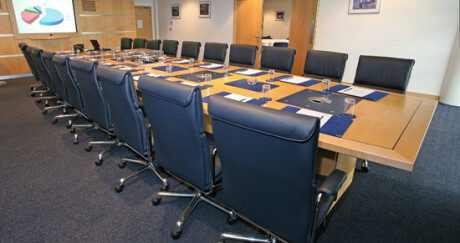 Silverstone is our premier boardroom with a fixed table accommodating up to 22 guests. 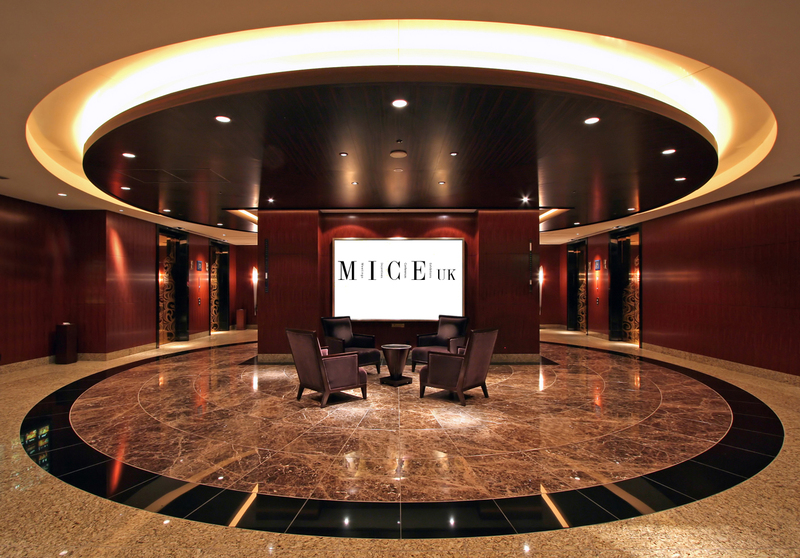 The room is equipped with a built-in audio visual wall featuring a 70 inch rear projection screen, connections for up to three laptops, DVD, video players, CD player and television feed. 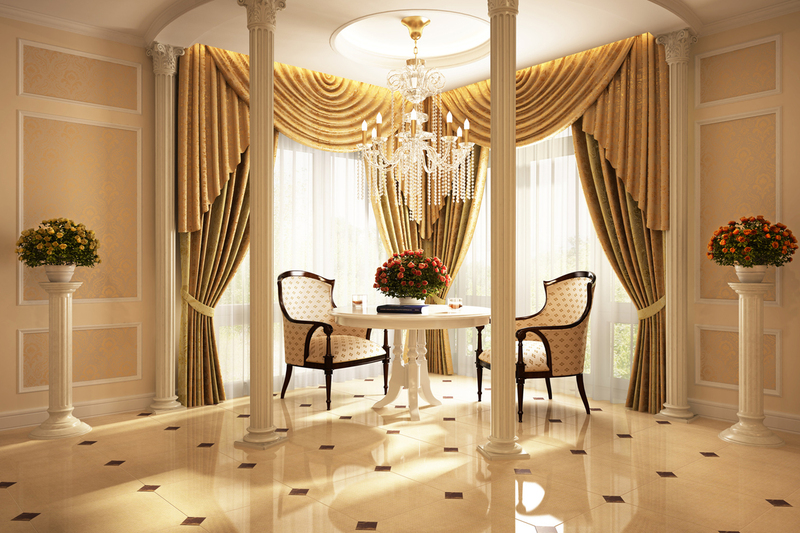 The room has natural daylight and it’s own climate control unit. 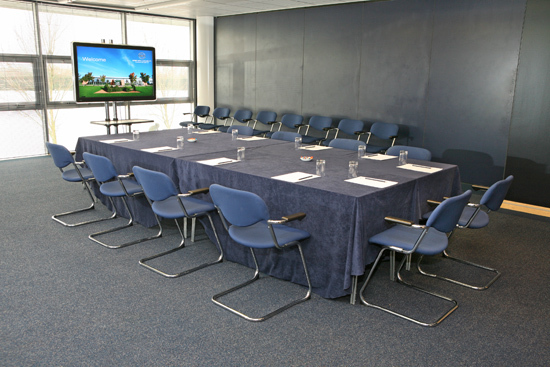 Whilst the Silverstone is predominetly used for boardroom style meetings, theatre style can also be accommodated down the sides of the table and the rooms can also serve as the hospitality area for events held in our Monaco room. 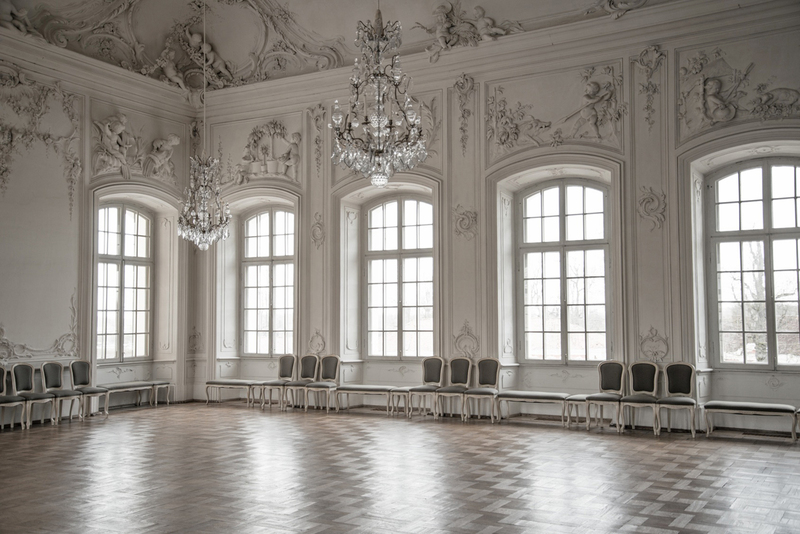 The Monaco room is located on the 1st floor and is an open space that can accommodate a variety of set up styles. It benefits from a wall of natural daylight with views over our front lawn and its own climate control unit. Suitable for meetings for up to 12 guests. 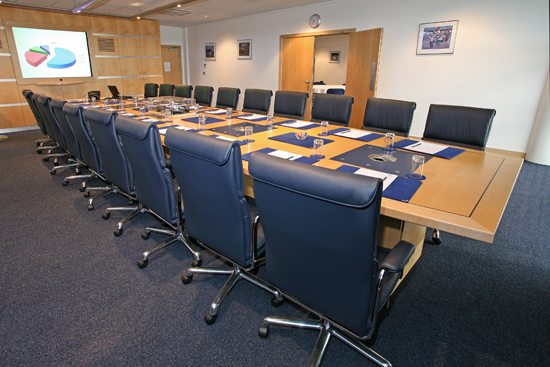 Hockenheim offers a flexible meeting area, ideally suited as an office or syndicate room. It is also the hospitality area for meetings in Monza. 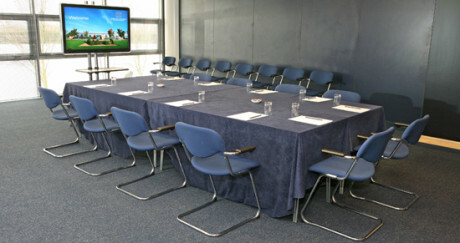 Predominately used as a boardroom for up to 14 guests, although able to accommodate up to 28 guests theatre style. Monza has a wall of natural daylight with views over our front lawn with it’s own climate control unit. 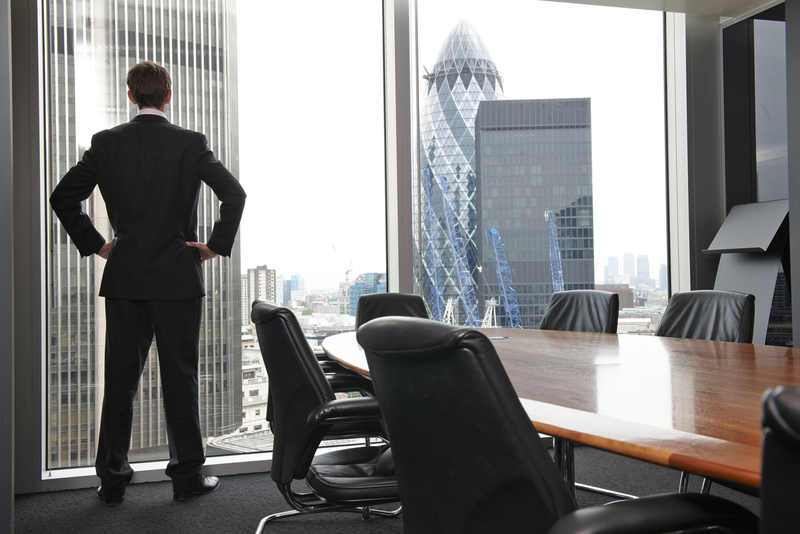 Equipped with either a 47″ plasma screen or an LCD projector and screen. Estoril is one section of Circuit Gallery B and is located on the 1st floor. Benefiting from a wall of natural daylight and views onto our front lawn. 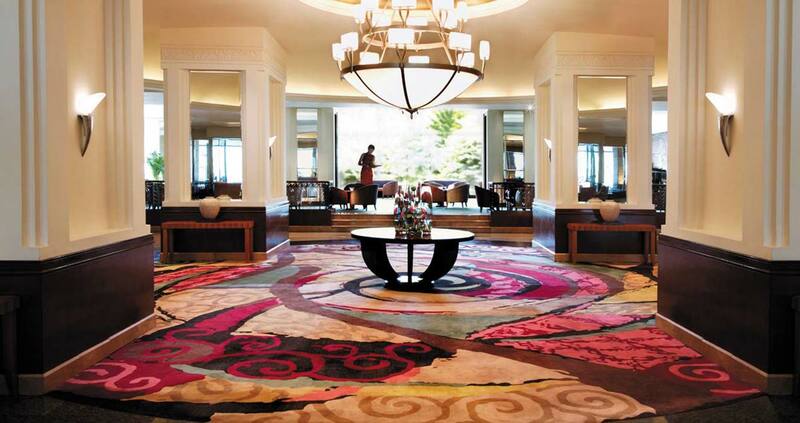 It has it’s own climate control and can accommodate up to 50 guests theatre style. 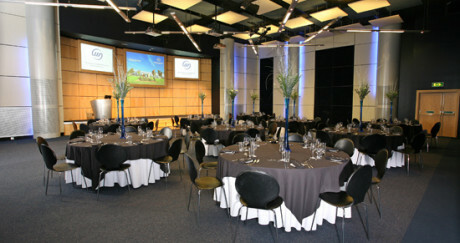 It is often used as the reception and hospitality area for events using Jerez and Barcelona. Jerez is one section of Circuit Gallery B and is located on the 1st floor. Benefiting from a wall of natural daylight and views onto our front lawn. 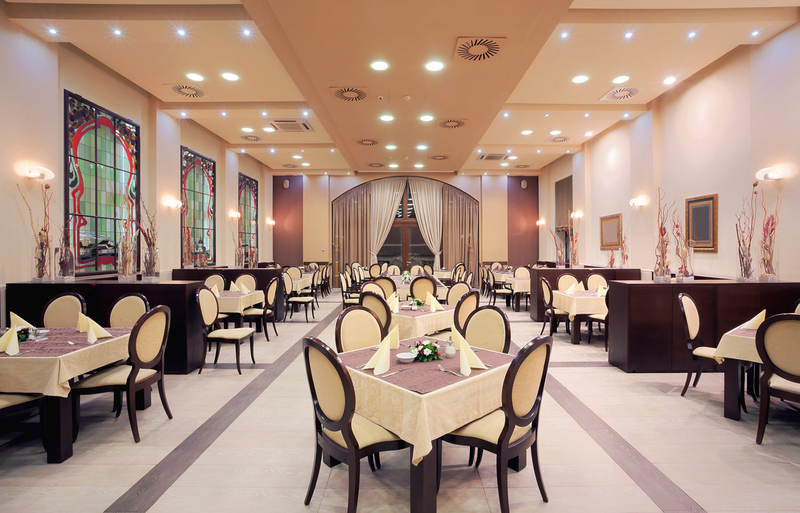 It has it’s own climate control and can accommodate up to 40 guests theatre style. 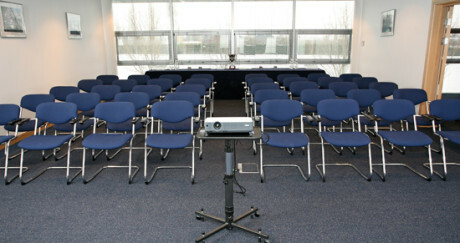 It is often used in conjuction with Barcelona as a main meeting room for up to 75 guests. One of the three rooms which make up Circuit Gallery B.
Barcelona is one section of Circuit Gallery B and is located on the 1st floor. Benefiting from a wall of natural daylight and views onto our front lawn. 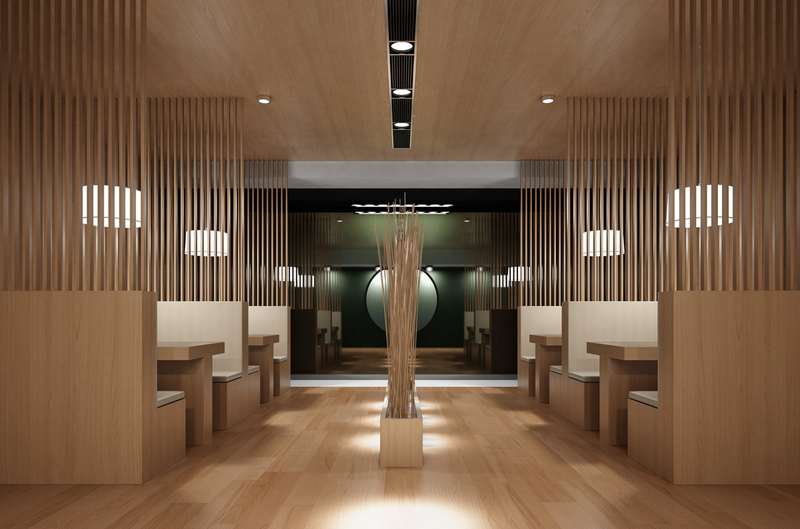 It has it’s own climate control and can accommodate up to 50 guests theatre style. 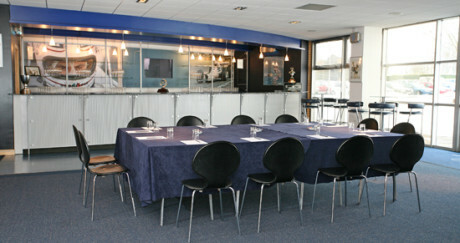 It is often used in conjuction with Jerez as a main meeting room for up to 75 guests. One of the three rooms which make up Circuit Gallery B. 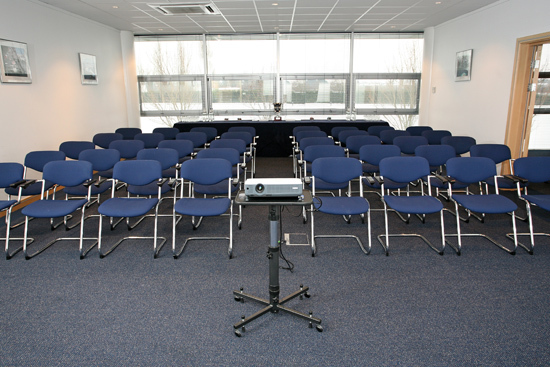 The Ayrton Senna is a fully equipped presentation room with a built-in stage, stage lighting, 3 large screens and ceiling mounted projectors and an surround sound system. 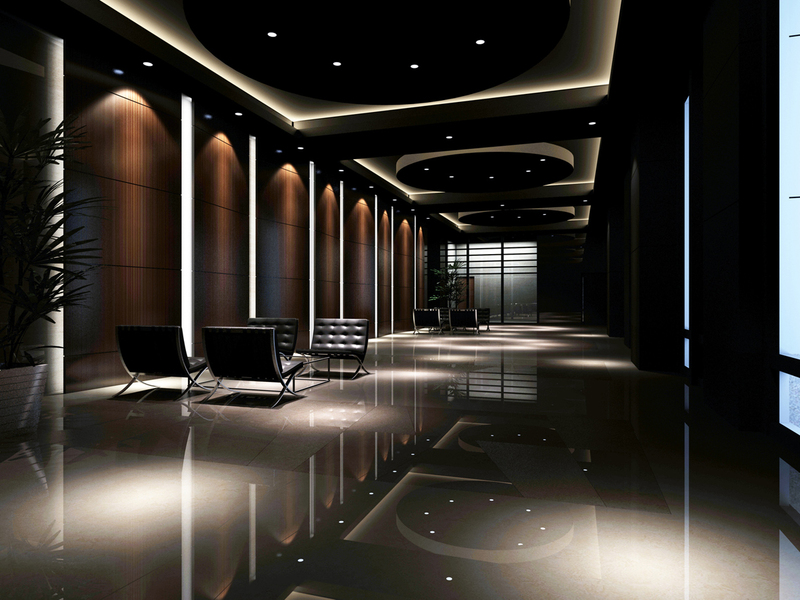 The services of our in-house AV Technician are included when hiring this area to ensure your presentations run smoothly. 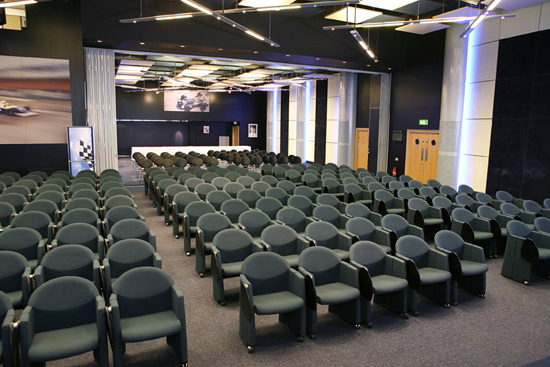 Accommodating up to 200 theatre style the Ayrton Senna is a open space that can accommodate all manner of set-ups with heavy equipment and vehical access at street level. The entrance to the Ayrton Senna is through our Champions Gallery which enhances the experience that your guests are about to receive. 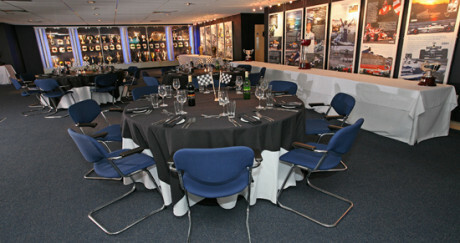 The Piers Courage room is predominately used as the hospitality area in conjunction with the Ayrton Senna. 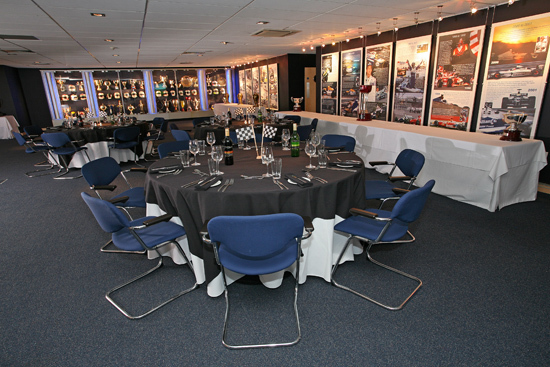 Used as a meeting room for up to 100 guests theatre style or alternatively, Piers Courage can be opened up to extend the Ayrton Senna for larger meetings of up to 300 guests, dinners for 250 guests. 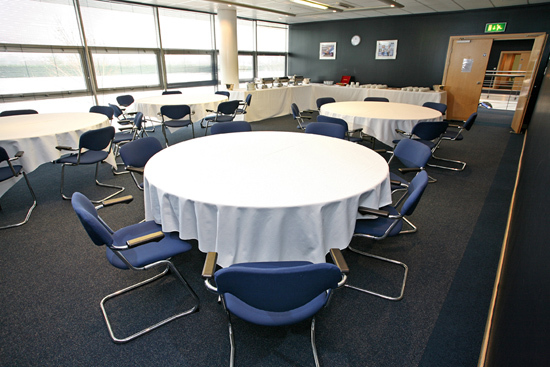 The Alan Jones offers a versatile space for syndicate and hospitality requirements. The room can also be opened to increase the space of the Piers Courage room. Equipped with a full bar facility and benefiting from floor-to-ceiling natural daylight with views across the front lawn. 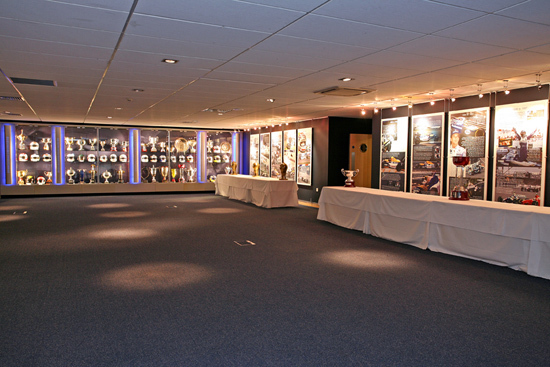 The Trophy Room houses a selection of some of the teams prestigious silverware, plus selected team memorabilia and an original Formula One simulator based on the 2000 FW22 chassis, the Trophy Room makes for the perfect setting for lunches or dinners for up to 70 people.